Prox. Showing chytrid attack. Collected by Hazel Sumner (EA), Norfolk Broads, UK. 30 Apr 2015. © C.F. Carter (chris.carter'at'6cvw.freeuk.com. Prox. Showing haptonema. Collected by Hazel Sumner (EA), Norfolk Broads, UK. 30 Apr 2015. © C.F. Carter (chris.carter'at'6cvw.freeuk.com. In the brackish Lake Biviere di Gela (Sicily); with Cyclotella. Rossella Barone (rossella.barone@unipa.it). © Rossella Barone (rossella.barone@unipa.it). In the brackish Lake Biviere di Gela (Sicily). 01 Mar 2005. Rossella Barone (rossella.barone@unipa.it). © Rossella Barone (rossella.barone@unipa.it). Published in: Carter, N. (1937). 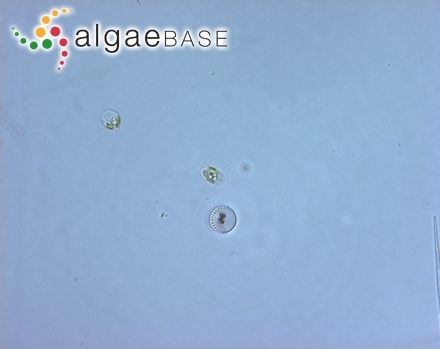 New or interesting algae from brackish water. Archiv für Protistenkunde 90: 1-68. Adjective (Latin), little, small, puny (Stearn 1973). Harmful species (Lassus et al. 2017). Toxic; self-toxic. type locality: Brackish water pond, Bembridge, Isle of Wight, England (Carter 1937: 40). Bourrelly, P. (1957). Recherches sur les Chrysophycées. Morphologie, phylogénie, systématique. Revue Algologique: Mémoire Hors-Série 1: -412. Hulburt, E.M. (1965). 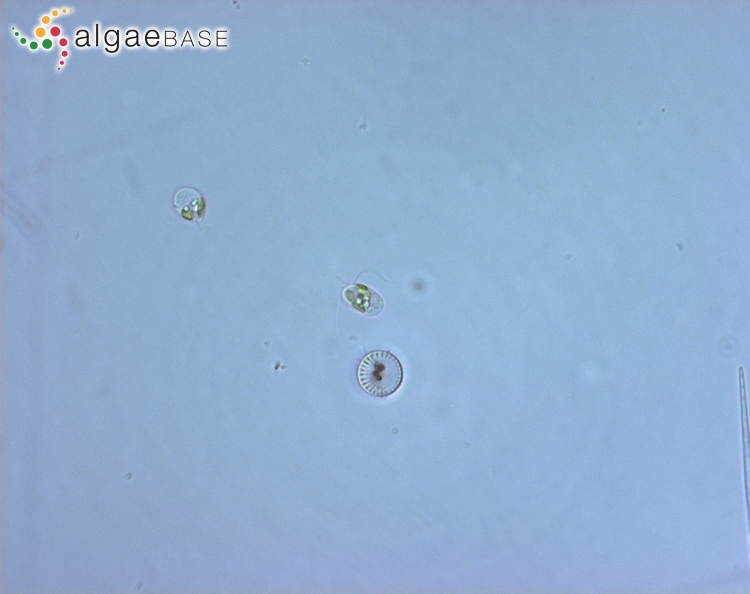 Flagellates from brackish waters in the vicinity of Woods Hole, Massachusetts. Journal of Phycology 1(2): 87-94. Nakayama, T., Yoshida, M., Noël, M.-H., Kawachi, M. & Inouye, I. (2005). Ultrastructure and phylogenetic position of Chrysoculter rhomhoideus gen. et sp. 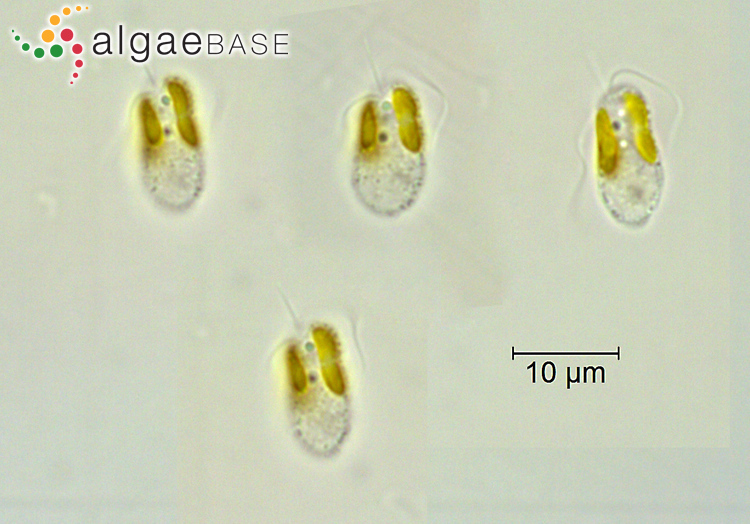 nov. (Prymnesiophyceae), a new flagellate haptophyte from Japanese coastal waters. Phycologia 44: 369-383. Olli, K. & Trunov, K. (2007). Self-toxicity of Prynmesium parvum (Prymnesiophyceae). Phycologia 46: 109-112. Parke, M. & Dixon, P.S. (1976). Check-list of British marine algae - third revision. Journal of the Marine Biological Association of the United Kingdom 56: 527-594. Preisig, H.R. (2011). 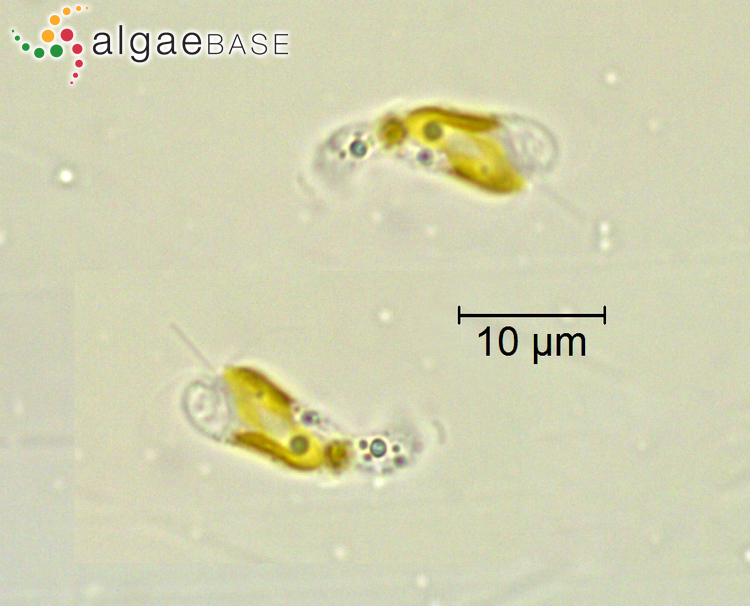 Phylum Haptophyta (Prymnesiophyta). In: The freshwater algal flora of the British Isles. An identification guide to freshwater and terrestrial algae. Second edition. (John, D.M., Whitton, B.A. & Brook, A.J. Eds), pp. 277-279. Cambridge: Cambridge University Press. Talarski, A., Manning, S.R. & La Claire, J.W., II (2016). Transcriptome analysis of the euryhaline alga, Prymnesium parvum (Prymnesiophyceae): effects of salinity on differential gene expression. Phycologia 55(1): 33-44. Accesses: This record has been accessed by users 6668 times since it was created. Baker, J.W., Grover, J.P., Brooks, B.W., Ureña-Boeck, F., Roelke, D.L., Errera, R. & Kiesling, R.L. (2007). Growth and toxicity of Prymnesium parvum (Haptophyta) as a function of salinity, light and temperature. Journal of Phycology 43(2): 219-227, 2 figs, 2 tables. Barone, R. (2005). Il fitoplankton delle zone umide siciliane d'importanza internazionale: presenza dell'aptofita ittiotossica Prymnesium parvum Carter. Informatore Botanico Italiano 37: 556-557. Billard, C. (1983). Prymnesium zebrinum sp. nov. et P. annuliferum sp. nov. deux nouvelles espèces apparentées à P. parvum Carter (Prymnesiophyceae). Phycologia 22: 141-151. Dafni, Z., Ulitzur, S. & Dhilo, M. (1972). Influence of light and phosphate on toxin production and growth of Prymnesium parvum. Journal of General Microbiology 70: 199-207. Freitag, M., Beszteri, S., Vogel H. & John, U. (2011). Effects of physiological shock treatments on toxicity and polyketide synthase gene expression in Prymnesium parvum (Prymnesiophyceae). European Journal of Phycology 46(3): 193-201. Holdway, P.A. & Watson, R.A. (1978). Growth and ichthyotoxicity in two strains of Prymnesium parvum Carter (Haptophyta) as affected by phosphorus concentration. British Phycological Journal 13: 201-202. Holdway, P.A., Watson, R.A. & Moss, B. (1978). Aspects of the ecology of Prymnesium parvum (Haptophyta) and water chemistry in the Norfolk Broads, England. Freshwater Biology 8: 295-311. Johnsen, T.M. & Lein, T.E. (1989). Prymnesium parvum Carter (Prymnesiophyceae) in association with macroalgae in Ryfylke, southwestern Norway. Sarsia 74: 277-281. Larsen, A. & Edvardsen, B. (1999 '1998' ). Relative ploidy levels in Prymnesium parvum and P. patelliferum (Haptophyta) analyzed by flow cytometry. Phycologia 37: 412-424, 15 figs, 4 tables. Larsen, A. (1999). Prymnesium parvum and P. patelliferum (Haptophyta) - one species. Phycologia 38: 541-543. Moon, R.E. & Martin, D.F. (1981). The cytolytic substance aponin on Prymnesium parvum and Ptychodiscus brevis, a comparative study. Botanica Marina 24: 591-593. Neisch, M.T., Roelke, D.L., Brooks, B.W., Grover, J.P. & Masser, M.P. (2012). 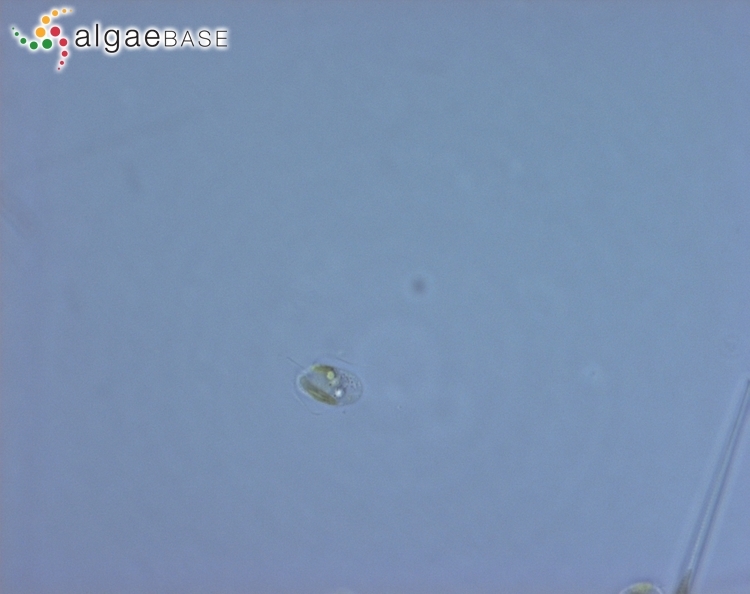 Stimulating effect of Anabaena sp. 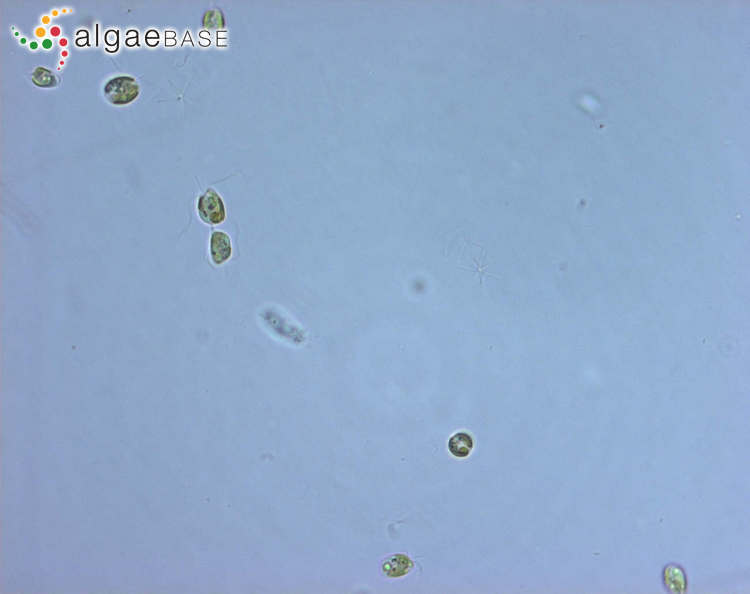 (Cyanobacteria) exudate on Prymnesium parvum (Haptophyta) (Note). Journal of Phycology 48(4): 1045-1049. Ricketts, T.R. (1964). The localization of enzymes in hydrolysing adenosine phosphates in Prymnesium parvum Carter. J. R. Micros. Soc. 83: 459-465. Ricketts, T.R. (1965). Inorganic pyrophosphatase in Prymnesium parvum Carter. Arch. Biochem. Biophys. 110: 184-190. Shilo, M. & Shilo, M. (1955). Control of the phytoflagellate Prymnesium parvum. Proceedings of the International Association of theoretical and applied Limnology 12: 233-240.